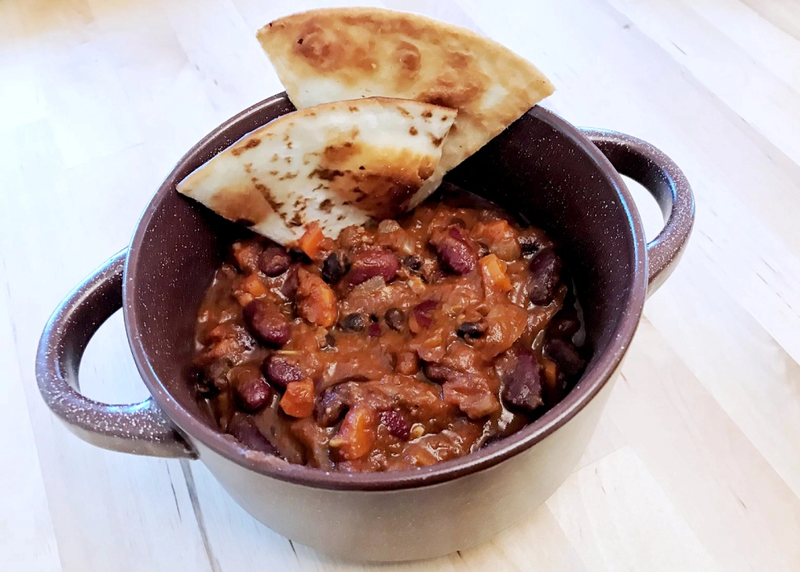 Today’s Meal Of The Day is a lovely homemade Chili recipe from SpicySoupParadise! “I am a huge proponent of a meat-conscious lifestyle. So at home, I usually cook pescatarian or vegetarian. The problem is making chili vegetarian – especially for people who are used to eating meat chili – is two fold. (1) It’s gotta be flavorful. Meaty chili gets a whole bunch of flavor from the stewed beef. (2) It’s gotta be “meaty” – not necessarily with the taste or texture of meat – but the “bite” of it. You want to eat chili not minestrone.